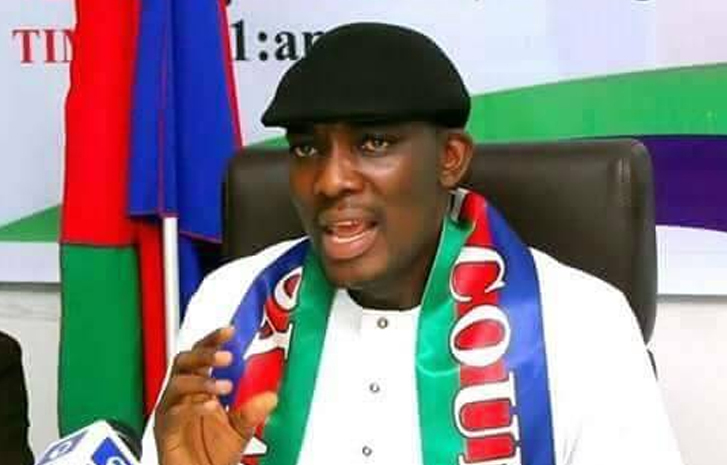 The Ijaw Youth Council (IYC) Worldwide, on Tuesday cried out that the Federal Government of Nigeria has abandoned the Nigerian Maritime University located in Okenrenkoko, Warri South-West Local Government Area of Delta State. National President of the IYC, Mr. Roland Pereotubo Oweilaemi, Esq., disclosed this in a statement made available to journalists. According to the statement, the IYC remarked that a visit to the school proved abandonment and a condition that threatens the school’s continued existence. The statement read in part: “The Council, on our unscheduled visit to the School was made to understand that the FG only paid N2b out of the N5b take off grant it has earlier pledged to pay. “As we speak now, majority of the staffs have deserted the school as the Institution is unable to pay its staffs for many months, while the Vice Chancellor of the Institution is moving round the Country sourcing for funds,” it said. The IYC said it was regrettable how the present government reneged on its promises to pay due attention to the school, failing on appropriate funding. The IYC added thus: “What we find out on our visit is an eyesore. The generating plant that has been supplying power to the institution is not working as the management has no finance to buy diesel. “The FG is playing with fire. Though we do not pray for crisis in the region, if however the government’s lukewarmly provocative and incisive stance instigates any breakdown of law and order in the region then the present government should be held responsible. “President Buhari should as a matter of urgency release funds for the School. We will vehemently resist any move to scrap the Institution through the starving it of funds.